Two Houston bars are facing a lawsuit after allegedly serving a motorcyclist alcohol. The motorcyclist later caused a fatal accident in 2016. The lawsuit was filed by the parents of a 25-year-old woman against two bars, Capital Bar and Nightclub. They are both accused of serving a man additional alcohol after he was already intoxicated. The man was later driving his motorcycle when he crashed into the back of a cement barricade on the 610 overpass. His girlfriend was riding on the back of the motorcycle at the time and was killed in the accident. Her parents are suing the bars. According to the plaintiff, evidence exists that both bars served the man while he was obviously intoxicated. His blood alcohol content at the time of the crash was .162, or twice the legal limit. Both bars declined to make a comment about the case. Under Texas law, it is illegal for bars, restaurants, liquor stores, and other establishments to serve alcohol to anyone who is obviously intoxicated to the extent they present a clear danger to themselves and others. If an establishment does that, they have violated the law and assume partial responsibility for any injuries that may occur as a result of the individual’s intoxication. However, establishments are allowed to serve an individual enough drinks to get them intoxicated – they just must cut off the drinks once they reach a dangerous intoxication level. 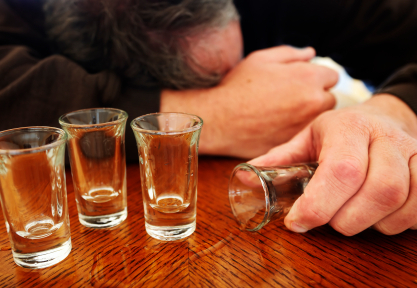 If you or a loved one has been hurt by a drunk driver, and you believe that a business was responsible for that individual’s intoxication, you should speak with an attorney. Call the Houston personal injury attorneys at Kennedy Hodges at 855-947-0707. We can help. Call us today to learn more or visit us on Facebook.